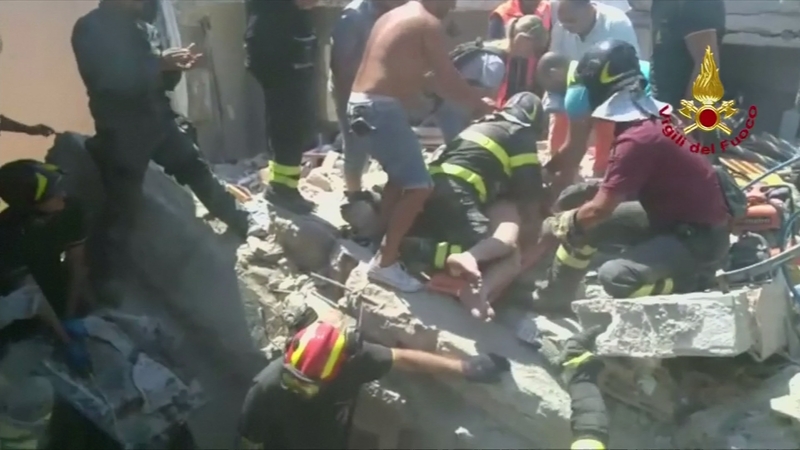 First they pulled a seven-month-old baby alive from the rubble. Then firefighters found his two older brothers, working through the night to rescue the children after an earthquake damaged homes and buildings on the Italian island of Ischia. At least two people were killed in the quake, which struck yesterday evening on the popular holiday resort, leaving more than 2,000 people homeless.